Abhinandan Pathak filed his nominations from Lucknow on Friday and said would do so from Varanasi on April 26. 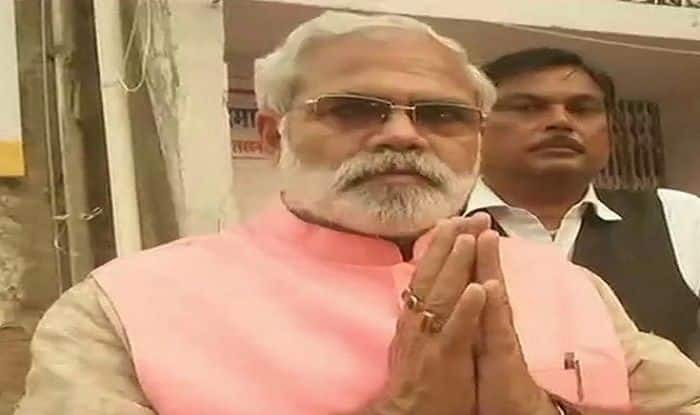 Lucknow: PM Narendra Modi is set to face his doppelganger when he contests Lok Sabha elections from Varanasi. PM lookalike Abhinandan Pathak said on Friday that he will fight the election as an Independent candidate from the PM’s constituency. Earlier on Friday, Pathak had filed his nomination as an Independent candidate from Lucknow where he will be pitted against another BJP heavyweight, Home Miniter Rajnath Singh. Pathak also claimed that if he won the Lok Sabha elections, he would support Congress President Rahul Gandhi’s candidature for prime minister. “After winning, I’ll support Rahul Gandhi’s PM candidature,” Pathak said. Reports say Pathak defected from NDA constituent Republican Party of India last year and joined the Congress, claiming that PM Modi’s promise of “acche din aayenge” (happy days will come) was an electoral gimmick. “Acche din nahi aayenge (happy days will not come),” Pathak had reportedly said before joining the grand old party in October last year ahead of the Assembly elections.